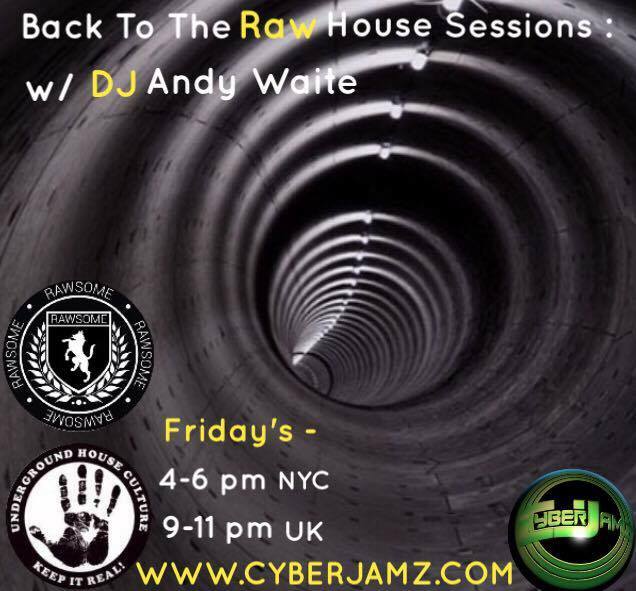 Back to the Raw House Sessions w/ DJ Andy Waite, Fridays 4-6pm EST. 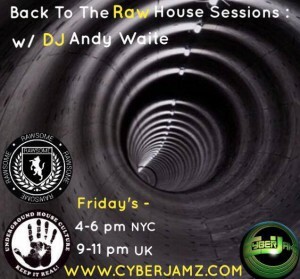 Dj Andy Waite presents Back to the Raw House Sessions, Fridays 4pm-6pm EST. This show is hot coming to us live from the U.K and surrounding areas overseas,this is the show to watch right now at Cyberjamz Radio.Tune in and find out why this is one of the best shows coming to us from the U.K every Friday afternoon early evenings. Representing the UK by way of Sunderland, North East of England, Andy Waite describes his style and interpretation of djing as simply raw. Andy’s love is simply mixing the music up his way, including all facets of house, deep to soulful, with disco, funk and sometimes the occasional electronic. 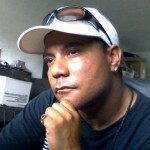 Andy has been djing on and off for over 30 years, having got the bug back in the 80’s. Andy got his start djing at underground parties back in the day. Andy’s motto is: If it fits..use it! and Always play what you feel, and feel what you play.